But now Lillian herself is dead. Found among the bleeding hearts and lilacs of Clara Morrow’s garden in Three Pines, shattering the celebrations of Clara’s solo show at the famed Musee in Montreal. Chief Inspector Gamache, the head of homicide at the Surete du Quebec, is called to the tiny Quebec village and there he finds the art world gathered, and with it a world of shading and nuance, a world of shadow and light. Where nothing is as it seems. Behind every smile there lurks a sneer. Inside every sweet relationship there hides a broken heart. And even when facts are slowly exposed, it is no longer clear to Gamache and his team if what they’ve found is the truth, or simply a trick of the light. LOUISE PENNY is The New York Times and Globe and Mail bestselling author of the novels featuring Chief Inspector Armand Gamache. Her debut, Still Life, won the John Creasey Dagger and the Arthur Ellis, Barry, Anthony, and Dilys Awards, and was named one of the five Mystery/Crime Novels of the Decade by Deadly Pleasures magazine. Penny was the first author ever to win the Agatha Award for Best Novel four times—for A Fatal Grace, The Cruelest Month, The Brutal Telling (which also received the Anthony Award for Best Novel), and Bury Your Dead (which also won the Dilys, Arthur Ellis, Anthony, Macavity, and Nero Awards). 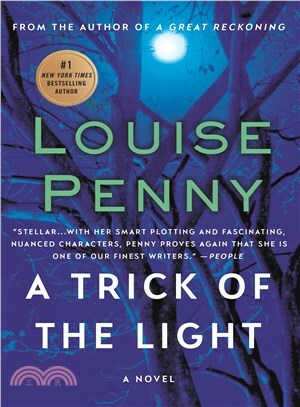 A Trick of the Light won the Anthony Award for Best Novel (her third win in a row and her fourth overall) and an Independent Literary Award and was named one of the Best Crime Novels of 2011 by The New York Times, The Globe and Mail, and Publishers Weekly. Louise lives with her husband, Michael, in a small village south of Montreal.